It’s this dearth of hard facts on what’s coming next from Cupertino that makes speculation so irresistible. And with the new year now upon us, it’s the perfect time to ponder what Apple may have in store for us in 2011. Blogger Deon Devine, from Houston, Texas, has sent Cult of Mac some very interesting predictions. Deon predicts Apple TV could offer streaming games with Bluetooth controller support in 2011. Plus, Game Center could add a voice chat feature, similar to XBox Live. With the launch of iPad 2, Devine expects to see the addition of an SD Card slot, which would be used by iMovie for video editing. Check out these and more 2011 predictions on Deon’s blog, X-Verse ’10. What do you guys think? 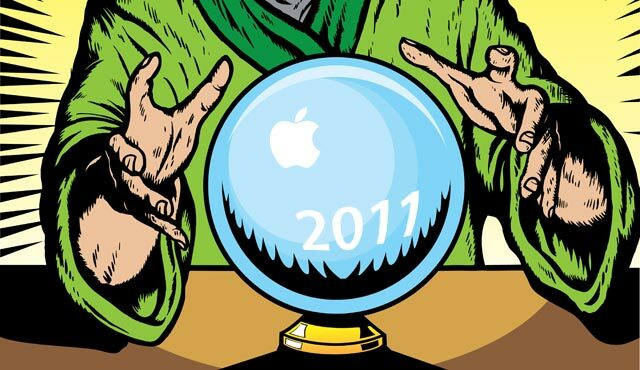 Post your 2011 predictions in the comments below, and let’s try crowdsourcing the missing product roadmap. We can revisit the comment thread this time next year to see who the winners and losers were.